Pokemon Go insanity continued this weekend and even more strange stories have surfaced. See what happens when lots of humans go outside to catch pixelated monsters? While most of us are just left with sore legs after a weekend hoofing it between Pokestops and gyms, some people haven't been quite so fortunate. 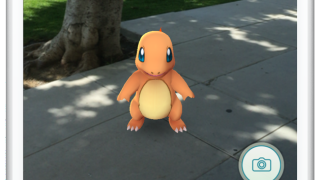 Two teenage Pokemon Go players in Florida were shot at early on Saturday morning. According to news4jax a 19 year old and 16 year old said they had been driving around a neighbourhood in Palm Coast playing the game, only for a man to leave his house with a gun after they stopped outside his house at 1:30am. Apparently the man overheard one of them say "did you get anything?" and assumed they were burglars. He allegedly then shot at the vehicle. Thankfully neither Pokemon player was injured but the Sheriff's Office in Florida has released a set of tips to make sure everyone thinks about their behaviour before heading out to play. These are largely common sense but no trespassing seems exceptionally wise. In other news on this side of the Atlantic, a group of teenage boys had to be rescued from caves 100ft underground after allegedly playing Pokemon Go. Part of me thinks this is natural - as where else are we meant to find rock Pokemon - and the other part thinks it's insane, they did something stupid and blamed a game that wouldn't even have any reception underground. "They were looking for these Pokemon creatures and surprisingly they didn't find any, but it's obviously leading people into dangerous situations, such as this, and things are likely to escalate if people are going to follow the rules of this game," Dorset and Wiltshire Fire and Rescues's Damien Bence tells the BBC once again proving that a lack of understanding of the game and/or common sense is going to lead to more situations like this one. But it's not all misery. Police in South Yorkshire have voiced their thanks on Facebook to a group of Pokemon Go players who thwarted a robbery. A bunch of trainers were wandering an industrial estate hunting Pokemon and spotted some suspicious activity in a builder's yard. They duly called the police and two offenders were duly arrested for commercial robbery. See the full post below from the police. See, it's not all bad.